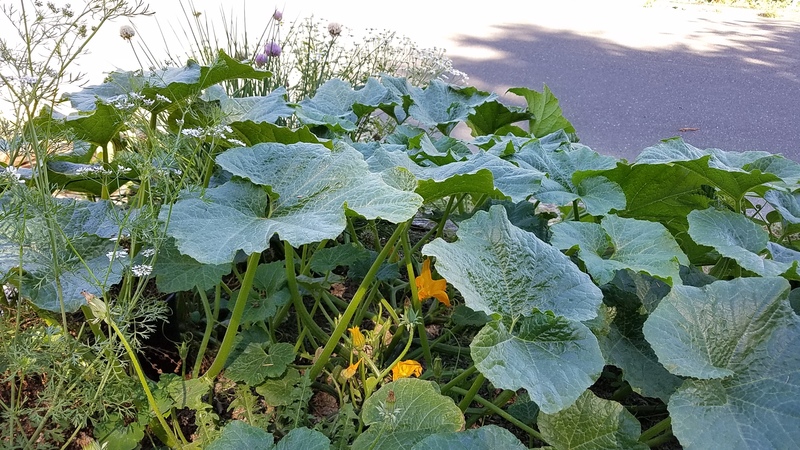 I planted a vegetable garden in my front yard this year, and it’s been lovely. 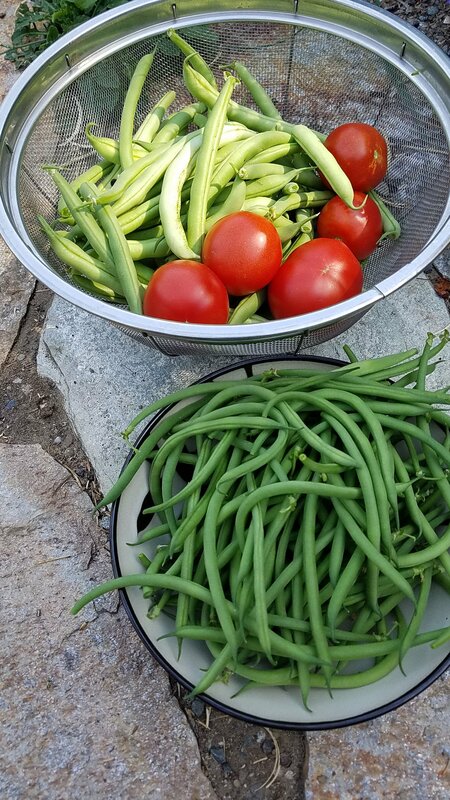 The beans are thriving in the unusual Northwest heat, I’m about to have more tomatoes than I know what to do with, and the squash seedling that had been nibbled down to a nub by passing deer has pretty well exploded in the past few weeks. The one thing that hasn’t thrived are the snow peas. Snow peas should really be planted in February or March, not in May before a particularly hot June. The snow pea starts never grew at all, but they were the first thing in the garden to produce. 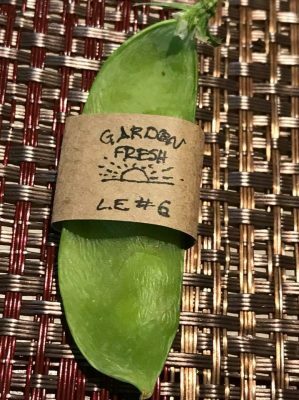 After I harvested the second pod, I decided that clearly, the garden was going to do well and it was time to consider going commercial. 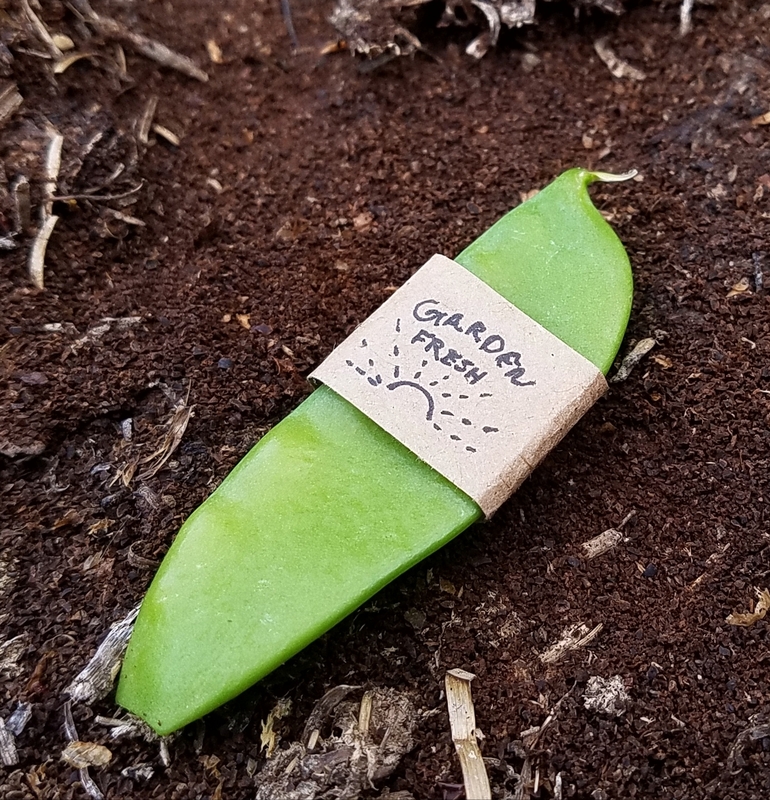 After all, I’d spent $3 on snow pea starts and now had two whole pods to show for it, which meant that for the low low cost of $1.50 per pod, I could break even! And to get $1.50 for a single pea pod, I’d have to sell to the high-end hipster market — and have excellent packaging. Pro tip: Actual garden soil photographs very badly. Position your product on a bed of dried coffee grounds that you tossed out of your french press that morning. 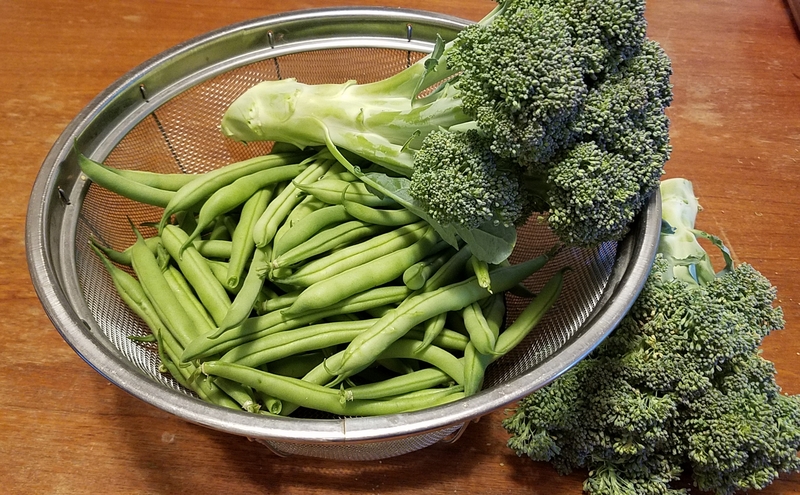 Much to my surprise, I kept getting pea pods — albeit one at a time, very slowly. A friend suggested I give them limited edition numbers. Sadly, with this unprecedented doubling of production, the quality control on my hand-made packaging slipped a little. #4 had no little sunshine, because I forgot it. Pea pod #6 brings a return to the classic packaging, and was my entire contribution to a potluck. The hosts displayed it under a glass cover. 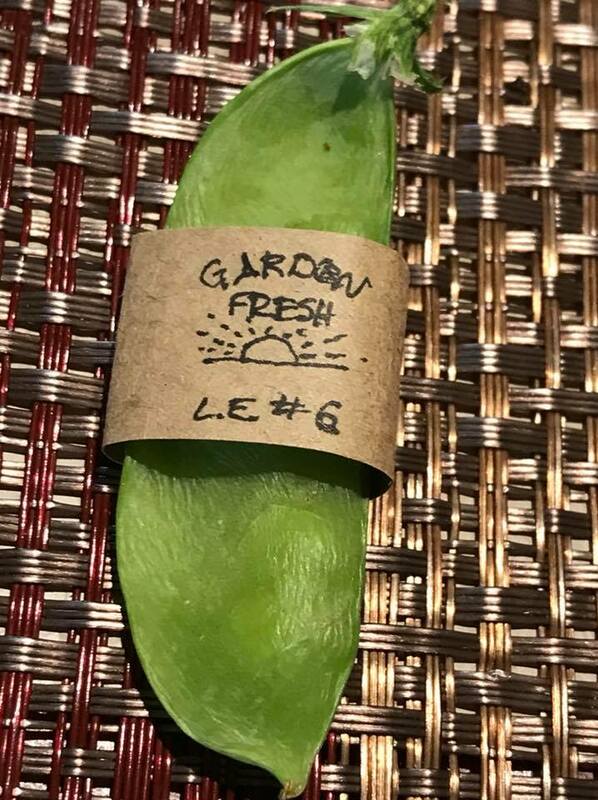 The plants went on to produce a staggering 14 (organic, artisanal) pods total. 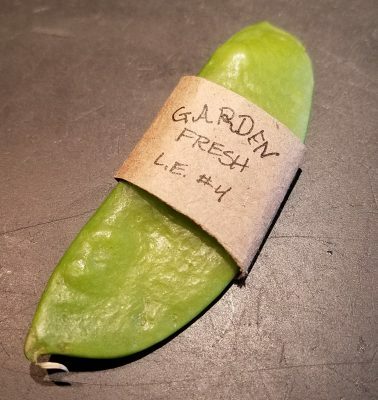 At that point, I figured the pea season was surely over, but then in one last, productive gasp, my pea plants produced a whole thirteen pods — at the same time! I immediately ate them all, because I didn’t want to flood the market. I'd like to try over-wintering some brassicas, and growing some brussels sprouts, if only because they look like such bizarre, alien plants. I'm not sure about the timing, though. That's my goal for next year -- a good garden calendar. This year my goal was just to have the beds ready and plant things in them. The ones I didn't package I ate right off the plant. No reason not to -- they never produced enough to cook with, anyway, and fresh peas are delicious!